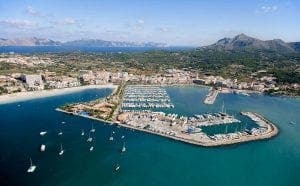 A MALLORCA hotel group claims it was hit by €4 million-worth of scam sickness claims by mainly British holidaymakers last year. 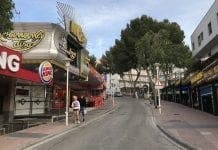 Triauno S.L, which owns Club Mac Alcúdia, reported to police that nearly 800 claims, the majority believed to be bogus, were made in its three all-inclusive resorts, Mars, Saturn and Jupiter in 2016, according to Diario de Mallorca. A spokesperson for Club Mac confirmed to the Olive Press that an investigation is ongoing. Altogether, 797 people put in 273 separate claims worth €3.97 million against Club Mac Alcudia’s three Mallorca hotels, a 700% rise on previous years. Some of the claims were put in by families, couples or groups of friends. According to Diario de Mallorca, only 32 of the people who put forward a claim visited a doctor during their stay. Private detectives were called in to investigate ‘claims farmers’ who would wait outside hotels and tempt holidaymakers to put in claims. Photographs of suspects were handed over to anti-fraud officers who have filed a report to a Palma court. 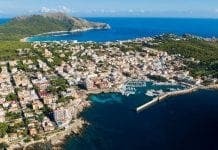 According to police, there have been a barrage of complaints for gastric sickness against hotels in the Balearics, Canaries and the Spanish mainland in recent years. It comes as UK authorities start to crackdown on fraudulent holiday sickness claims. A Liverpool family accused of swindling Thomas Cook out of £51,000 after a Mallorca holiday will stand trial next year and face up to six years in prison. In June, Foreign Secretary Boris Johnson said ‘the digestive systems of the British people had become the most delicate in the world’.